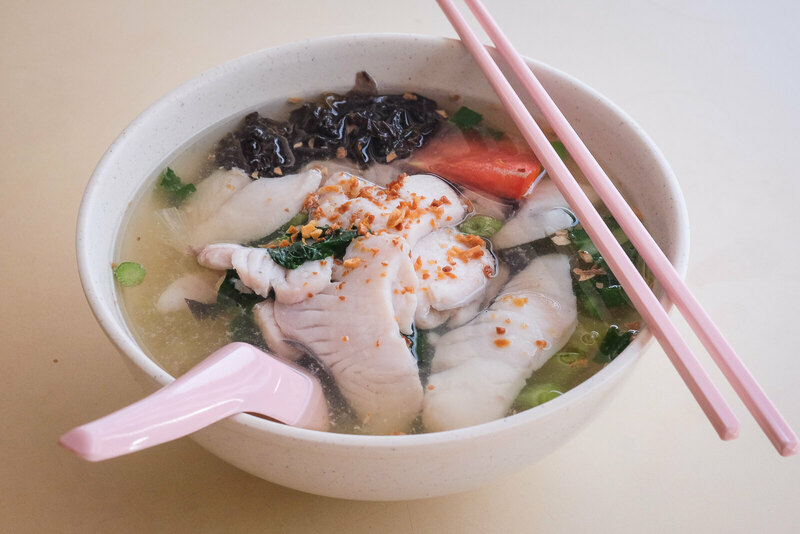 Having been in the F&B industry for more than 50 years, the owners of Hougang Lee Chen Cooked Food first started selling pig’s organ soup in Hougang. 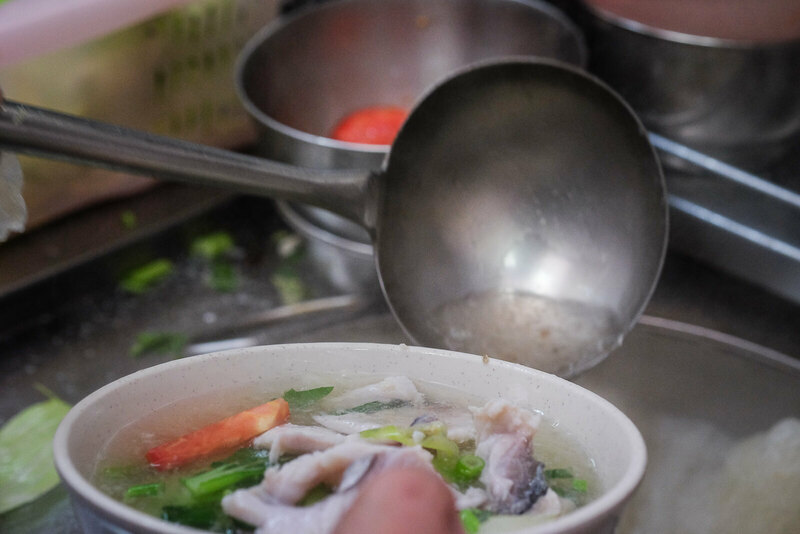 Around 30 years ago, there was an outbreak of disease directly affecting the productions of pigs, causing the owners to switch from selling pig organ’s soup to fish soup. 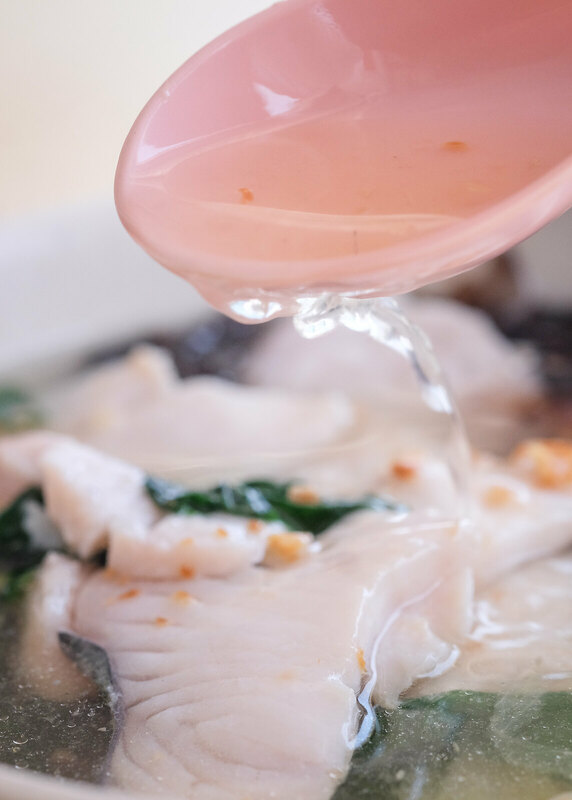 Although I’ve never tried their pig’s organ soup, I think that it must have been delicious, because their fish soup certainly is. Packing raw slices of batang fishes into many small bowls way before operation does increase the efficiency significantly. Witnessing the stacks of bowls getting lesser quickly was strangely therapeutic. 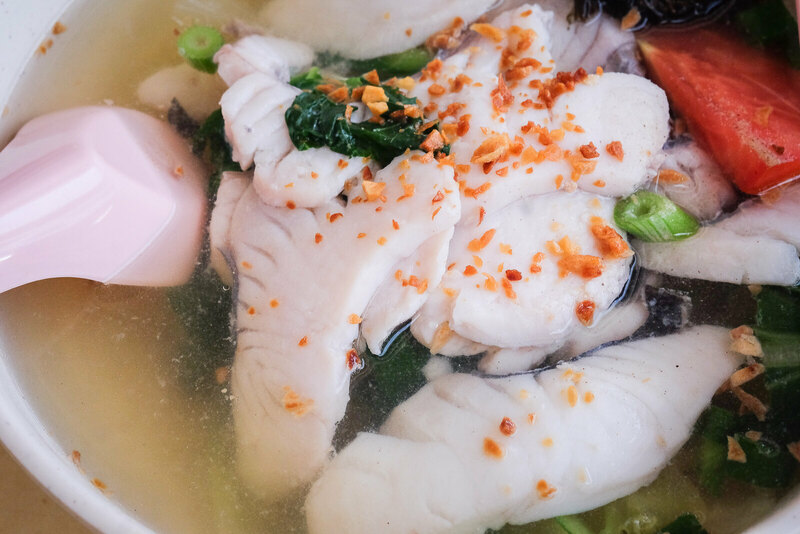 $4 for an above-average bowl of fish soup, is a major win! I was not hungry so I didn’t get any rice or noodles with it. One look at the fish and I knew they were really fresh. 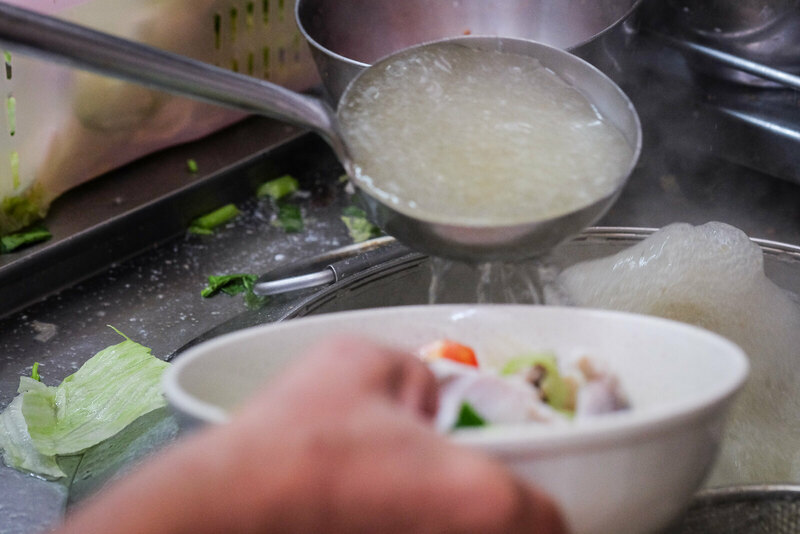 There is definitely no need to add soya sauce to the soup as it is adequately flavoursome on its own, especially with the fragrant fried garlic. For those who love bitter gourd, let the owners know that you’ll like to add some to your soup. I’m sure you will enjoy the slight bitterness in each spoonful of soup. Da Dong Prawn Noodles - Prawn Noodles that will have You Coming Back for More! The home-cooked food done by my mum has always been healthier — zero fried food and less salt. Thus, sliced fish has always been a boring choice to me as my mum tends to only minimally marinate the fish. 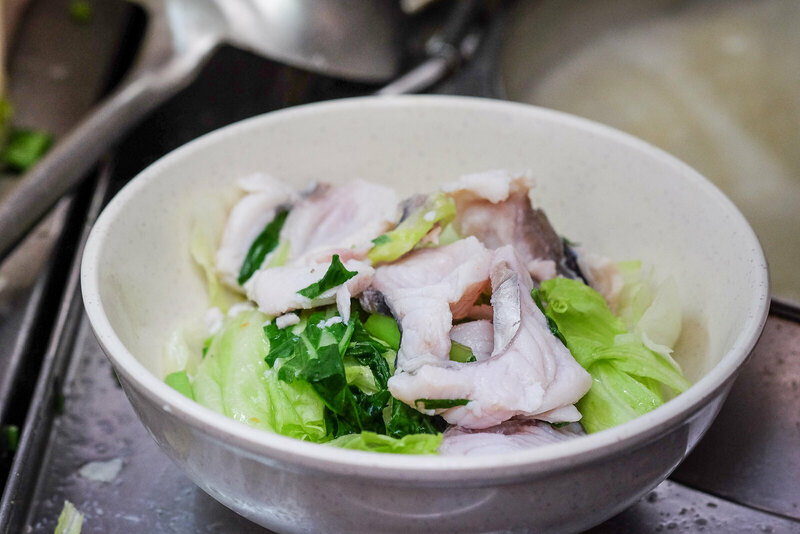 Just one bite into Hougang Lee Chen Cooked Food’s sliced fish, and I was blown away. 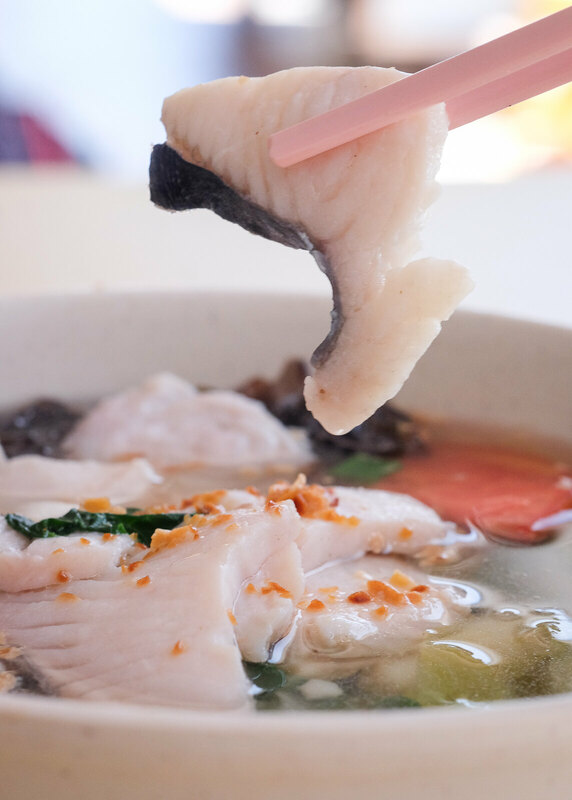 The sliced fish was smooth, firm and luscious. Apparently, they add some special powder to make the flesh so smooth! I was really impressed. I was already quite full from previous food hunts before getting here, but I finished the entire bowl. No regrets! Since the owners work at least 15 to 16 hours during operating days, they rest from Sunday to Tuesday. That is considered a great number of off-days for a hawker, so bear that in mind the next time you head down for their fish soup! Do not be deterred by the snaking queue (it actually has the longest queue in this food centre) because the queue moves fairly quickly. Clarke Quay - Awesome Value-For-Money Set Lunches Below $25! 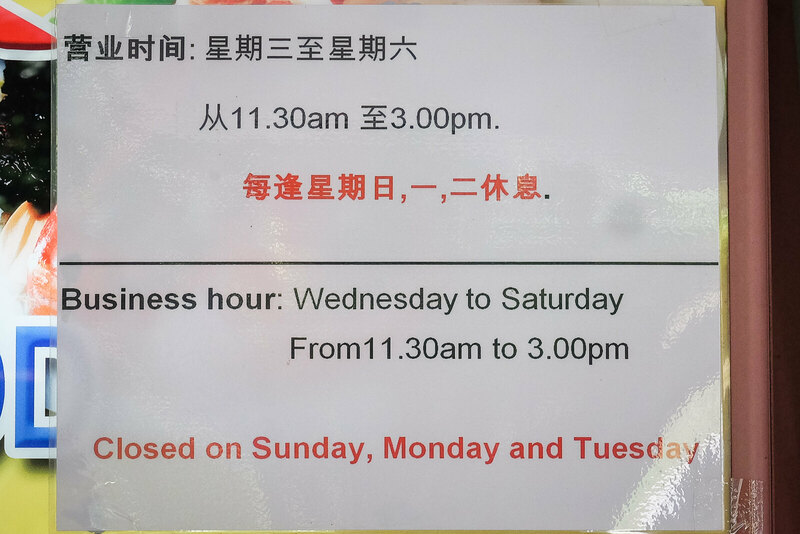 Opening Hours: 11:30am to 3pm from Wednesdays to Saturdays only. Let’s build a food community that helps to update the food news in Singapore! 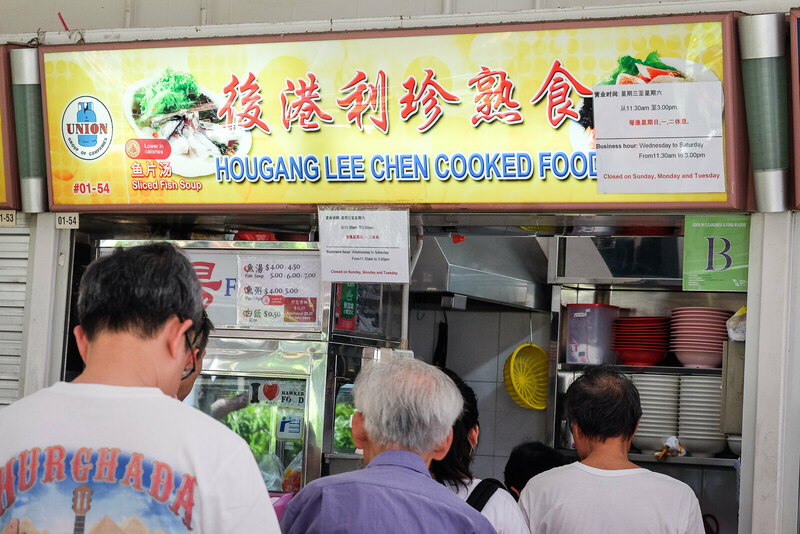 Simply comment below if there’s any changes or additional info to Hougang Lee Chen Cooked Food. We will verify and update from our side. Thanks in advance! Cooking for those she loves is therapy; eating is purely her gluttony. Maisie gains the most satisfaction from sharing cheap and good food! Her dream is to eat and travel without having to look at the price.